Voting for the AST Board of Directors opened on Tuesday, April 9, 2018. All eligible voters were sent an email with directions on how to place votes. If you have not received this email, please check your spam folder. To ensure email delivery, add vote@simplyvoting.com to your accepted sender list. The online voting site will close at 5:00 PM PT on June 3, 2019. Election results will be announced during the AST Town Hall. If you have questions about voting, please review our frequently asked questions. The AST is also considering a bylaws revision. Read the proposed change here. Dr. Formica graduated from Boston University in 1989 with a degree in chemistry and Boston University School of Medicine in 1993. He trained in internal medicine at the Combined Boston University Internal Medicine Program and served as the last Chief Medical Resident for Boston City Hospital. He then moved to Yale University for his Nephrology Fellowship. 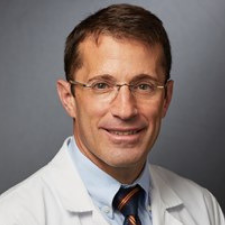 Dr. Formica joined the faculty of Yale University School of Medicine in 1999 and currently serves as the Director of Transplant Medicine, the Director of the Outpatient Transplantation Service, the Medical Director of Adult and Pediatric Kidney Transplantation. He is a Professor of Medicine and Surgery at Yale University School of Medicine. 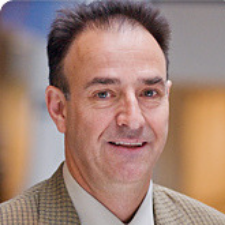 Dr. Formica has academic interests in translational and clinical areas of transplantation research. He serves as a local PI on an NIH sponsored Clinical Trials in Organ Transplantation protocol. In addition he has clinical research interests in process and quality improvement in transplantation. He has authored or co-authored 75 original scientific articles, review articles, internet publications and book chapters. 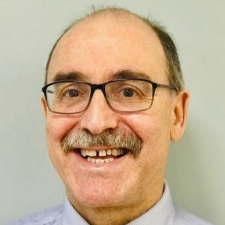 Dr. Formica has been a member of the AST since 1999 and has served on the Practice Guidelines Committee, the Patient Care and Education Committee, the AST/ASN Renal Transplant Training Accreditation Program Committee and the Public Policy Committee. He became a counselor-at-large in 2014 and assumed the role of secretary in 2017. In this capacity he has served on the CEOT planning committee, the Apol-1 and Hepatitis C consensus conferences planning committee and the Transplant Patient Summit planning committee. Dr. Formica has served the United Network of Organ Sharing, where he was the Chairman of the Kidney Committee. During his tenure he was intimately involved in the development and implementation of the New Kidney Allocation Policy developing the Kidney Paired Donation Program and chaired the Simultaneous Liver-Kidney Transplant working group. He is current a member of the Membership and Professional Standards Committee. He will assume the role of Associate Regional Councilor for region 1 in July 2019. He is an avid skier, being an active patroller in the National Ski Patrol, and sailboat racer, having competed in 11 Bermuda Races amongst other off shore and PHRF races. He is also an accomplished amateur stonemason. Dr. Deepali Kumar is a long-standing AST member with many years of service and dedication to the society and its members. She obtained her medical degree from the University of Ottawa and did infectious disease training at the University of California-San Diego and McMaster University. She further did an MSc degree with a focus in transplantation at the University of Toronto. She is a Transplant ID physician and Professor of Medicine at the University of Toronto, within the Toronto Multi-Organ Transplant Program. Dr. Kumar has a translational research program that consists of both clinical and laboratory-based research. Her research focuses on immunologic responses to viral infections and vaccines in transplant recipients. She has been PI on CIHR grants and co-I on NIH-sponsored Clinical Trials in Organ Transplantation. She has supervised numerous graduate students and medical residents/fellows in transplant-related research. She has authored over 175 manuscripts, editorials, and book chapters in the field of transplantation. For her research, she received the American Society of Transplantation Clinical Investigator Award (2018) and the Royal College Gold Medal in Medicine (2010). Dr. Kumar has been an AST member since 2004. 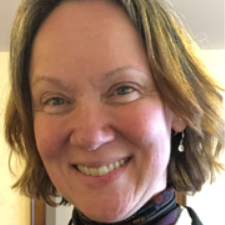 She is Editor-in-chief of The AST Handbook of Transplant Infections and Associate Editor of Clinical Transplantation and the 3rd and 4th AST Transplant ID Guidelines. She served for many years on the AST ID COP executive and was Chair of the ID COP from 2012-14. In 2015, she was elected to the councillor-at-large position on the AST board. She also serves on the ATC program planning committee, AST Research Network and the AST Patient Education Committee. Dr. Kumar has also authored guidelines for KDIGO as well as the International CMV Guidelines. She is also a member of Canadian Society of Transplantation and the Canadian Standards Association Technical Committee for Cells, Tissues, and Organs (an advisory committee to Health Canada). 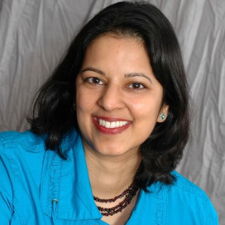 Dr. Kumar enjoys spending time with her three teenagers, cooking Indian food, and helping her kids with their homework. I have had the privilege of working within the AST since my first days as a nephrology research fellow in 1998, attending the annual meeting annually thereafter, initially presenting research in islet cell transplant immunology, and later participating as a young faculty member in committees including the Patient Care and Education Committee (2005-6) and the ASN/AST Transplant Fellowship Accreditation Committee (2007-10). These experiences provided later opportunities in a leadership capacity within the Society that have included serving as Chair of the Kidney Pancreas Committee (2008-9), Chair of the Grants Executive Committee (2014-17), Course Chair of the AST Fellows Symposium (2018-present), the Course Chair of the ASN/AST Kidney Transplantation Early Programs (2014-18), and ultimately, service as Councilor-at-Large for the AST Board of Directors from 2015 until present. I have served in a number of leadership roles not only within the AST but also as Medical Director of the Kidney and Pancreas Transplant Programs for the past 11 years and as Professor of Medicine at the University of Colorado that require defining a course of direction, working with individuals with different perspectives and agendas, deploying individuals in a manner that will optimize their success and satisfaction, and reassessing and changing course. I cannot imagine another career in medicine than one in transplantation and I am energized by the impact our membership has on the science and the clinical practice of our specialty. To be able to be a part of the direction of the field through the AST and have an ongoing connection with the advances of our field is a privilege, and that privilege is offered by AST service with others who have also committed themselves to service of the profession. The AST embodies my professional career and is my philosophical home; I hope to be of benefit to the AST in areas of Policy, Development, Education, and in general governance to best place others in a position of success and facilitate the goals of the AST mission forward. As an AST member for over 20 years, I have enthusiastically served the society in many capacities that have helped to contribute to its ongoing growth and success. This has encompassed service on several AST committees including the Patient Care and Education Committee (one year as chair), the Pancreas Transplant Committee, the Clinical Trials Advisory Council (one year as council chair) as well as the Education Committee. My strong commitment to the educational mission of the AST is underscored by having served as co-chair of the AST/ASN Kidney Transplant Process Improvement Module for the ABIM Maintenance of Certification, co-chair of the AST/ASN Annual Transplant Nephrology Course at Kidney Week, member of the AST Fellows Symposium Core Curriculum Workgroup, as well as an ongoing member of the AST/ASN Transplant Nephrology Core Curriculum Committee. I have additionally actively served as an invited member for many important societal initiatives including the AST Clinical Trials Symposium, the AST Consensus Conference on Non-Adherence Issues in Transplant Patients, the AST Hepatitis B Consensus Workgroup, the AST/ASTS Combined Kidney/Liver Consensus Conference, the AST/ASTS Workshop to Explore Incentives for Increasing Organ Donation as well as the recent AST Consensus Conference on the Use of Hepatitis C Viremic Donors in Solid Organ Transplantation. Finally, I currently serve on the Program Committee of the AST Cutting Edge of Transplantation annual meeting that has seen a resurgence in recent years. Outside of my commitment to the AST, I have served the American Society of Nephrology as a member of its Transplant Advisory Group, as a transplant representative on its Postgraduate Education Committee, and as a transplant representative on its Public Policy Board. I have also recently completed service on the OPTN/UNOS Ad Hoc International Relations Committee. On an international level, I have served on workgroups for KDIGO (Kidney Diseases Improving Global Outcomes) related to the development of clinical practice guidelines for kidney transplant recipients, as well as for managing hepatitis C in kidney transplantation. For my day job, I am the medical director of a large kidney transplant program, where I started a transplant nephrology training program over a decade ago that has successfully graduated 15 transplant clinicians and scientists. Dr. Harini Chakkera completed her medical school from Bangalore University, India before immigrating to the United States. After completion of her Internal Medicine residency at Hennepin County Medical Center, MN, she successfully pursued fellowships in General Nephrology and Transplant Nephrology at University of California, San Francisco. During her General Nephrology fellowship period, she also obtained a MPH degree from the University of California, Berkeley. After completion of her training, she joined the faculty at Mayo Clinic, Arizona (MCA) in 2005. She served as their Pancreas Medical Director (2012-2018). 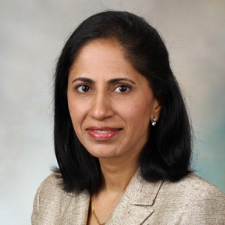 In Oct 2018, she was selected as Division Chair of Nephrology and Hypertension at Mayo Clinic, AZ. She is Professor of Medicine, Mayo Clinic College of Medicine & Science. Dr. Chakkera is recognized as a national and international content expert in the areas of metabolic disease and transplantation associated diabetes. She has been invited to present on this topic at ASN and AST conferences and as visiting professor at various academic institutions. She has published 70+peer reviewed manuscripts and book chapters. She has consistently maintained research funding from intramural and extramural (including NIH and industry) sources. She is a well-regarded educator, instrumental in leading several Educational Programs revolving around transplantation within and outside of MCA. She started the General Nephrology and Transplant Nephrology Fellowships approximately 5 years ago and has served as Program Director to both programs. On the national level some of her significant education activities include: (i) Transplant Nephrology Practice Improvement Module Committee member (2013–2014) where she was one of 10 select content experts. This was a joint ASN/AST committee to develop the Transplant Nephrology Practice Improvement Module included for ABIM recertification process. (ii) Chair of NKF-AZ, Southwest-Kidney Conference Planning Committee (2015–2017): Duties included course development of Nephrology and Transplantation topics for the two-day meeting attended by physicians, allied health professionals, nurses, social workers and dieticians. (iii) Member: AST Transplant Nephrology Fellowship Training Accreditation Program (2016-to-date). Responsibilities include review and approval of Transplant Nephrology Fellowship programs; perform onsite evaluations for initial or re-accreditation programs. Dr. Chakkera has been a member of AST since 2003. She was the recipient of the AST Clinical Science Fellowship Grant (2003-2005). She has served the AST in several roles including in the Communications committee, Membership committee, Executive Committee of Women’s Health COP and the Education Committee. Additionally, she has been an ATC abstract reviewer and participated and chaired several Scientific Sessions at ATC. I helped set up the Cardiac Transplant Program at the Hospital of the University of Pennsylvania in the late 1980’s. I was then the Medical Director of the Temple University Cardiac Transplant Program which became the largest in the United States. I also was Medical Director of one of the first three Mechanical Circulatory Support Programs in the country. These efforts involved developing coordination between diverse groups of individuals. This resulted in a very large transplant program with excellent outcomes and leadership in the development of innovations in post-transplant management and clinical trials. I led the first everolimusclinical trial in cardiac transplant recipients (Eisen HJ, et al,. N Engl JMed 349:847-858, 2003). Additional clinical trials that I led or helped to lead inluded the first MMF clinical trials in cardiac transplantation, the first micoremulsion cyclosporine clinical trial as well as a randomized clinical trial which established tacrolimus as a superior immunosuppressive agent to cyclosporine. I also set up the CARGO study which resulted in the development of gene expression profiling as a standard of care for post- heart transplant management. More recently, I organized and led the everolimus versus MMF clinical trial, the largest clinical trial in cardiac transplantation which included 63 centers in 14 countries. I have also conducted transplant related resarch funded by the NIH and the AHA and have been a member of transplant related NIH Sudy Sections. Since 2010, I have been an Associate Editor of The American Journal of Heart of Transplantation. I was a member of the AST Non-Adherence Consensus Conference in 2007. I Co-Chaired the AST Grants and Awards Committee from 2012-15. I was Chair of the AST Thoracic Committee (the predecessor of the Thoracic Transplant COP) from 2007-08 and Co-Chair from 2006-07. I chaired the AST-ACCP Grant Review Committee from 2005-07. I have reviewed abstracts for ATC meetings and have designed Thoracic Transplant Sessions for these meetings.I was one of the first four transplant Cardiologists to become a Fellow of the American Society of Transplantation. I am a frequently invited speaker and moderator at ATC meetings. From 2016-2019, I served on the Board of Directors of the ISHLT. From 2015-18, I was Chair of the Inter-Society and International Coordination Committee of the ISHLT which resulted in new collaborations with and increased participation from Latin America, Asia, and other under-represented regions. In 2007, I organized a joint AST-ISHLT Symposium at the ISHLT Scientific Meeting. I have been an AST member since 2010 at a time of ever-increasing intersection of my work at the Food and Drug Administration (FDA) with organ transplantation and believing that AST provides an essential voice and link between clinical work, patient needs, research and policy development. I have been involved with organ transplantation since the early 2000s while enhancing the safety of human tissues for transplantation including the development of donor screening assays including for West Nile Virus. Based on this experience, I saw that research was critical to inform policy decisions for organ and tissue donor testing and that research was best accomplished by combining efforts among all stakeholders within the organ and tissue donation and transplantation communities. The development of a vision for improved donor screening and recipient safety became a cornerstone of my career. To enhance recipient safety, I nurtured research and policy development in multiple areas including improved donor screening, coordinating research efforts in organ and tissue donation, stimulating research and development in donor evaluations, encouraging increased industry involvement in donor testing, developing improved coordination within the Department of Health and Human Services to focus on the needs of the transplant community, and including discussions of organ donation in FDA-sponsored activities. My leadership in this area led to appointment at the Health Resources and Services Administration (HRSA) Division of Transplantation (DoT) and promotion to Director of DoT in 2016. I retired from DoT in 2018 after more than 20 years of continuous public service which now allows me to take on formal roles to support the growth of AST and the field of transplantation. While in government I was not permitted to take formal leadership roles within AST. However, I was able to provide service and leadership to AST by routinely advising the AST Board and other leadership groups and presenting regularly at ATC and at CEOT. I supported the goals of AST serving as a member of numerous AST consensus conferences, taking multiple formal and informal meetings with AST leadership while at HRSA Division of Transplantation, as an editor on the recent C4 article on organ allocation for AJT, seeking society feedback during policy development, and serving as a trusted and readily available resource to the AST Board. 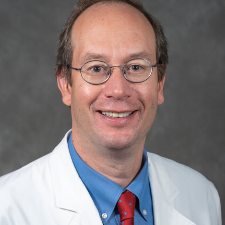 Simon Horslen MB ChB FRCPCH FAST FAASLD is a Professor in the Division of Pediatric Gastroenterology, Hepatology & Nutrition at Seattle Children’s Hospital and the University Of Washington School Of Medicine. He is Medical Director for Solid Organ Transplantation at Seattle Children’s Hospital. Dr. Horslen earned his medical degree at the University of Bristol, England and is a Fellow and Founder Member of the Royal College of Paediatrics and Child Health. He has worked in the US for the last 23 years initially at the University of Nebraska Medical Center and currently in Seattle. He is a Pediatric Hepatologist and Transplant Physician with many years’ experience of liver and intestinal transplantation in children. Dr Horslen participates in several multicenter research studies including SPLIT (Studies in Pediatric Liver Transplantation), PALF (Pediatric Acute Liver Failure) and ChiLDREN (Children’s Liver Disease Research Network). Dr Horslen is a past-Chair of the UNOS/OPTN Pediatric Committee and of the Pediatric Community of Practice of the American Society of Transplantation (AST). He is immediate Past Chair of SPLIT (Society of Pediatric Liver Transplantation) and President Elect of IRTA (Intestinal Rehabilitation and Transplantation Association). Other service to AST includes: Member, Ad-hoc Cellular Transplant Committee, 2005-2007, Member, Intestine Transplantation Criteria Subcommittee, 2006-2010, Member, Education Committee 2010-2013, Member, Hepatitis B Consensus Conference Workgroup 2013- 2015. Dr. Mandelbrot has extensive leadership experience with AST since joining in 1998. He has had a particularly positive impact in the area of living kidney donation, starting in 2009 when he chaired the AST Healthy Donor Website Workgroup. As an AST representative to the Joint Societies Work Group in 2010, he played an important role in guiding subsequent UNOS regulations regarding the evaluation of living donors, in a way that would provide importance guidance for the community, yet not be excessively prescriptive. He has served on the Executive Committee of the Living Donor Community of Practice since its founding in 2011. He has Chaired a number of LDCOP workgroups, including the Community Platform WG. He became Chair of the LDCOP itself in 2016, and is currently serving as immediate past Chair. As LDCOP Chair, he formed three new workgroups, the Living Donor Finances WG, the Living Donor Mortality WG and the International Donor WG. All three workgroups have written guidance manuscripts which are close to publication. Dr. Mandelbrot was also appointed in 2018 as the AST representative to the National Living Donor Assistance Center Advisory Group. In addition to AST activities related to living donation, Dr. Mandelbrot has served on AST abstract review committees since 2000, three times serving as committee Chair. He has also been a member of the AST Membership Committee, the Clinical Research Advisory Council, the Women's Health COP and the Kidney Pancreas COP. He served as the Education Group Leader at the first AST Transplant Patient Summit in 2017 and he currently serves on the ATC Program Committee. Dr. Mandelbrot’s contributions to the field of transplantation outside of the AST have also focused on living kidney donation. He was the American Society of Nephrology’s representative to the Living Kidney Donor Follow-up consensus conference in 2010 and is a member of the European LIDOBS (Living Donor Observatory). He is co-PI of the NIH-funded Kidney Donor Outcome Cohort (KDOC) study, which continues to provide important information on psychosocial and financial outcomes after living donation. PubMed currently lists him on 128 publications. Many are related to living donation, including an important survey of US transplant center practices regarding living donation published in 2007. He has also published in many other areas of transplant nephrology, including immunosuppression and complications of transplantation. He currently serves as Associate Editor of Clinical Transplantation. I am honored to be nominated for a Councilor-at-Large position on the AST Board of Directors. I am a busy clinician, researcher and administrator who, for the past 14 years, has directed the Advanced Heart Failure and Cardiac Transplant Program at Mount Sinai Hospital. After receiving my medical degree from Georgetown University, I completed Medicine residency at Beth Israel Deaconess Hospital and cardiology fellowship at Columbia University. I trained in Advanced Heart Failure & Transplant Cardiology at Columbia before joining the faculty there. I came to Mount Sinai in 2004 and have worked to put together a talented interdisciplinary team that has increased patient volumes and improved clinical outcomes. I currently serve as Director of Heart Failure & Transplantation for the Mount Sinai Health System overseeing all heart failure and cardiac transplant programs for our 7-hospital system. I have been an AST member for 10 years and am grateful for the opportunity to have served as a member of the Conflict of Interest and Education Committees. I have been a long-standing member of the TCC COP and served as an Executive Committee member in 2015-17. I have also been fortunate to contribute to the educational mission of the Society by serving as faculty at ATC and CEOT, reviewing papers for AJT and moderating an AST journal club. I bring with me years of service to the broader transplant community. I have served on the UNOS MPSC and Thoracic Committees, and am currently participating on its Ad Hoc System Performance Committee whose aim is to drive system improvements through collaboration. I am a member of LiveOnNY’s Medical Advisory Board and am past-president of the New York Cardiothoracic Transplant Consortium. I have been a member of ISHLT for almost 20 years having served on its International and Inter-Society Coordination Committee. In short, I have dedicated my professional career to advancing transplantation through patient care, education and service. I hope to have an opportunity to extend my commitment to the AST. 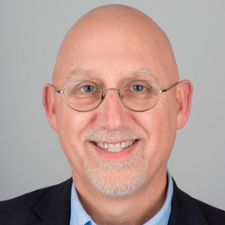 After completing his PhD in Clinical Psychology at the University of Memphis in 1989, Dr. Rodrigue joined the University of Florida faculty and served as Director of Transplant Behavioral Health Services until his 2005 recruitment to Beth Israel Deaconess Medical Center in Boston. 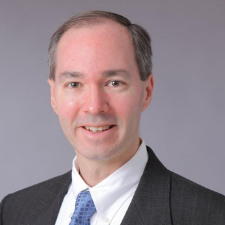 Currently, he is Vice Chair for Clinical Research in the Department of Surgery at BIDMC, Director of the Department of Surgery’s FIRST Program (www.bidmcFIRST.com), and Director of the Clinical Scholarship Program for surgical residents. Dr. Rodrigue is Professor of Surgery and Psychiatry at the Harvard Medical School. Clinically, he is a leader in developing robust behavioral health services to improve the lives of transplant patients and living donors. In 2017, he received the AST’s Clinician of Distinction Award in recognition of his outstanding contributions to clinical transplantation. Currently, Dr. Rodrigue is Principal Investigator on five federally funded clinical research grants in transplantation. He has been PI or Co-Investigator on over 30 research grants from the NIH, HRSA, PCORI, private research foundations, state agencies, and industry. He has published 200+ peer-review articles, 4 books, and numerous book chapters on organ transplantation and donation. 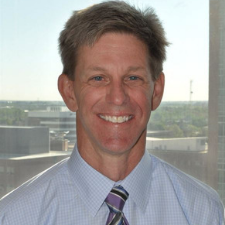 He has lectured nationally and internationally on the behavioral health aspects of transplantation, living donation, and disparities in transplantation and donation. 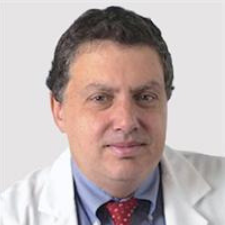 He has served on the Editorial Board of Transplantation, Progress in Transplantation, and Clinical Transplantation, and on the NIH Behavioral Medicine study section. Dr. Rodrigue joined the AST since 2001 and was inducted as a Fellow in 2016. His AST service includes serving on the inaugural Executive Committees of three Communities of Practice: Allied Health (2010-2012), Live Donor (2012-2015), and Psychosocial (2013-2016); AST representative on the Joint Steering Committee Workgroup for Live Liver Donation (2012-2013); and Co-Chair of the Consensus Conference on Best Practices in Live Kidney Donation (2013-2015). He is actively involved in other transplant professional organizations, including the American Society of Transplant Surgeons, The Transplantation Society, and the European Society of Transplantation. He served on the UNOS Ethics Committee (2004-2007), VCA Committee (2015-2017), and Living Donor Committee (2016-2018), as well as the ASTS Ethics Committee (2009-2012) and Living Donor Committee (2017-2020). He has participated in numerous national and international consensus conferences focused on kidney exchange, transplant program quality and surveillance, the non-traditional living donor, living donor follow-up, transplant evaluation criteria, and pediatric deceased donation. Beyond work, he is an avid Boston sports fan, loves to golf, and enjoys traveling. Dr. Verna is a transplant hepatologist, clinical researcher and educator at Columbia University. She is the Director of Clinical Research for Columbia’s Transplant Clinical Research Center, a center that is responsible for the development and execution of clinical trials and clinical research across all solid organ transplantation at Columbia. Dr. Verna has made substantial research contributions in transplantation, including understanding the natural history and treatment of viral hepatitis in solid organ transplant candidates and recipients. This work led to her being selected to develop the current HCV treatment guidelines. 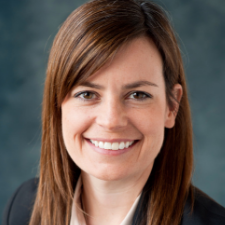 In addition, her NIH-funded work aims to understand the impact of the composition and function of the intestinal microbiome on clinical outcomes in liver transplant candidates and recipients. Throughout her career she has co-authored over 60 original publications, serves as the site investigator in multiple NIH-sponsored studies, and has held positions of leadership in committees within our sister societies including the American Association for the Study of Liver Disease and The American Gastroenterological Association. She also serves as an Associate Editor for the journal Liver Transplantation. At Columbia, she has been the Program Director for the ACGME-approved Transplant Hepatology Fellowship for the last four years. As a member of the AST since 2009, Dr. Verna has been remarkably dedicated to service of the AST throughout her career. She joined the Liver Intestine Community of Practice (LICOP) in 2015 and has since taken on several leadership roles. She was elected to the LICOP Executive Committee as a Member-at-Large in 2016 and then as the Co-Chair in 2018. She has chaired the LICOP Education Subcommittee since 2016, during which she oversaw the development of white papers and webinars, and shaped the liver programming at ATC. In addition to LICOP activities, she participated in the AST-sponsored consensus conference on the use of HCV-viremic organs and currently serves on the AST Transplant Community Summit Task Force. Dr. Verna was recognized for her contributions to the field of transplantation in 2017 when she was awarded the AST Clinical Science Career Development Award and was named a Fellow of the AST. Finally, she attends the American Transplant Congress annually, where she has given numerous invited lectures and has chaired the viral hepatitis section. Dr. Verna has spent her career dedicated to advancing the field of transplantation and improving patient care by promoting research and education, goals that are clearly aligned with the mission of the AST.